Spray Knockdown Texture systems are versatile enough to be used on any outdoor surface as a pool deck knock down finish, patio coating, or driveway overlay. 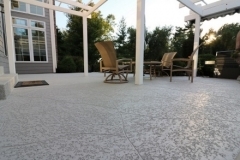 It is a unique floor coating because it is sprayed onto the existing slab, instead of poured and spread with a roller brush. The trowel finish surface is reminiscent of a stucco drywall but with less intense textures. The process of installing a spray texture is fast and easy but it requires the skill of an experienced contractor to use the hopper gun and spray the material efficiently. 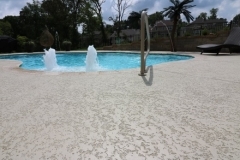 It involves less downtime than installing pool deck tiles and replacing the entire slab. 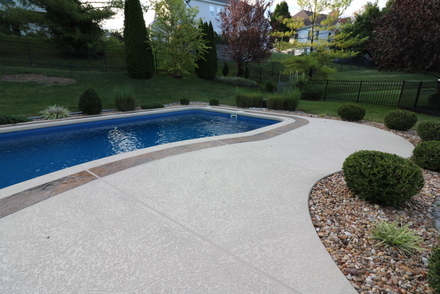 The deck deserves to serve its purpose efficiently and every pool owner deserves a stunning and, most importantly, safe deck to walk and lounge on. 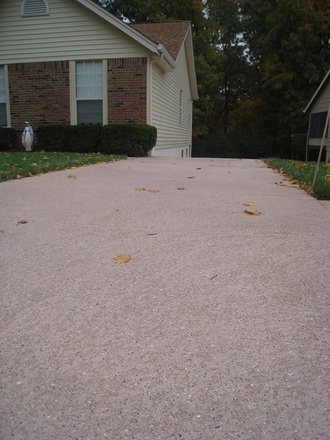 Slip-resistance – The knockdown texture on concrete creates a non-skid surface that is safe to walk on, even when wet. 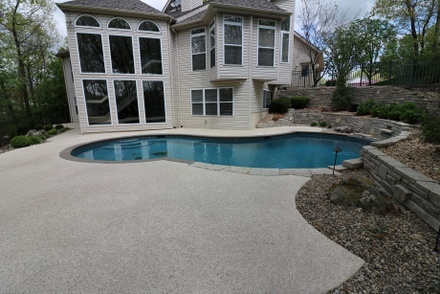 This trait is one reason why it is ideal for pool decks. 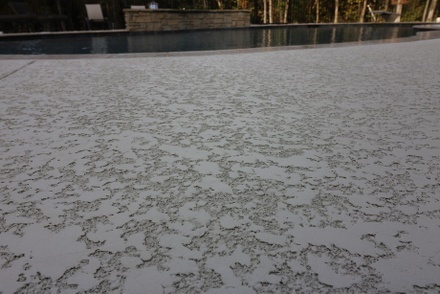 Cool Deck – The ability of this coating to reflect heat back instead of absorbing it makes it 30% cooler underfoot than other paving materials and pool deck texture coatings. 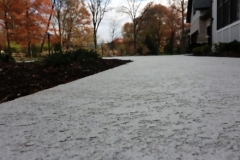 Economical – Despite the numerous perks it provides, it is one of the most affordable solutions to worn-out concrete surfaces and even on resurfaced patios or driveways. Costs may vary based on the size of the area and additional services, like staining, scoring, engraving, and the like. 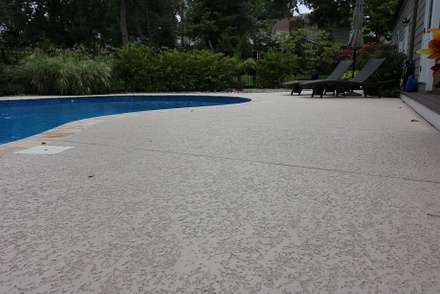 Low-Maintenance – Unlike other paving materials, a spray texture surface requires minimal cleaning and maintenance. You don’t even have to use a specially-formulated cleaner to keep it in tip top shape. Long-Lasting – As long as properly installed and sealed, a spray knockdown surface can last for a couple of years or more. Installing this acrylic concrete overlay is simple and easy. However, it requires the appropriate skill and equipment for proper installation and exceptional results. Step 1: The existing concrete surface is cleaned first. 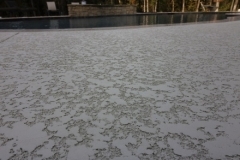 If the surface is damaged, it is sanded to remove the top layer and to promote proper coating adhesion. Step 2: The coating is loaded into a hopper gun and sprayed with pressure on the surface of the slab. Step 3: The sprayed material is troweled just enough to knock it down. Step 4: Any customization, such as staining, scoring, and engraving, is done when the coating has dried. 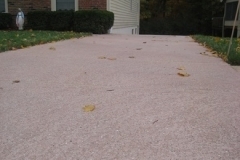 Step 5: The entire resurfaced area is sealed to extend its lifespan and keep it protected from damage. 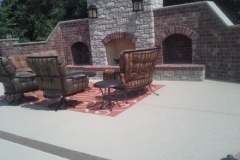 Get your free, no obligation, spray knockdown texture quote today. Call (972)808-5281. 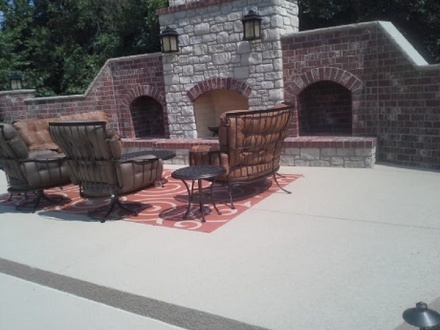 We know that improving or upgrading your concrete surfaces can be stressful. 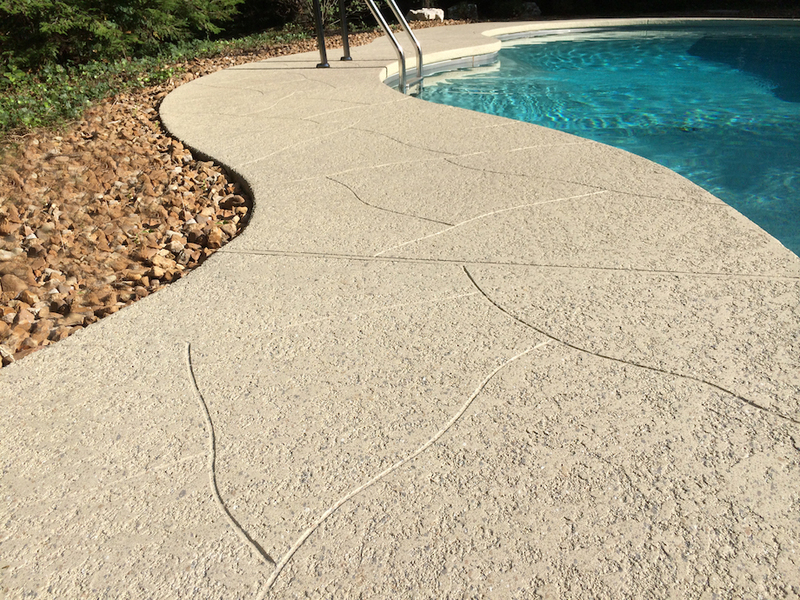 Let Dallas Decorative Concrete, one of the trusted pool deck, patio and concrete driveway contractors help you make your desires become reality. From choosing from style options to managing budget concerns, we make sure that we listen to our customers and make the process easier and more convenient for them. 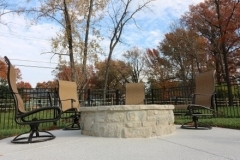 Our Mission: help you find & connect with local concrete pros that are skilled and experienced in spray knockdown finishes. Call or email us today for a free consultation.